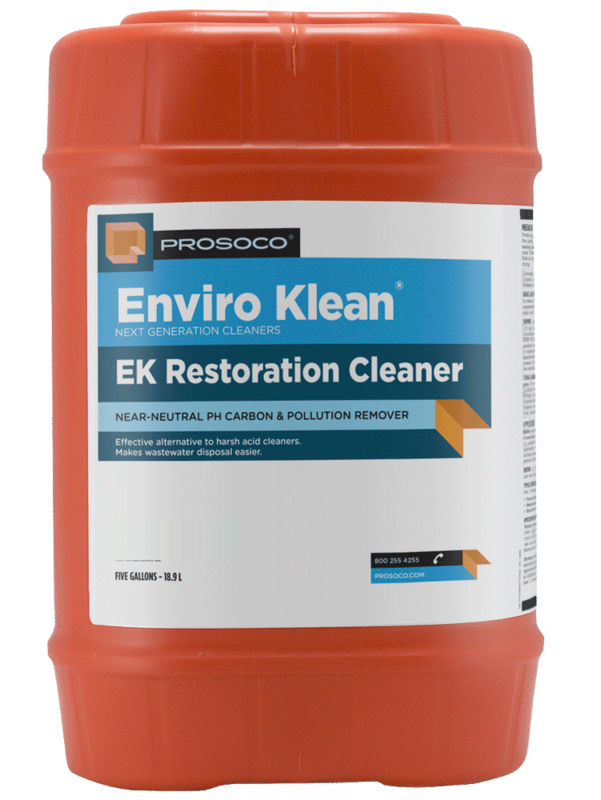 EK Restoration Cleaner is a concentrated compound for dissolving tough carbon deposits and other atmospheric staining. 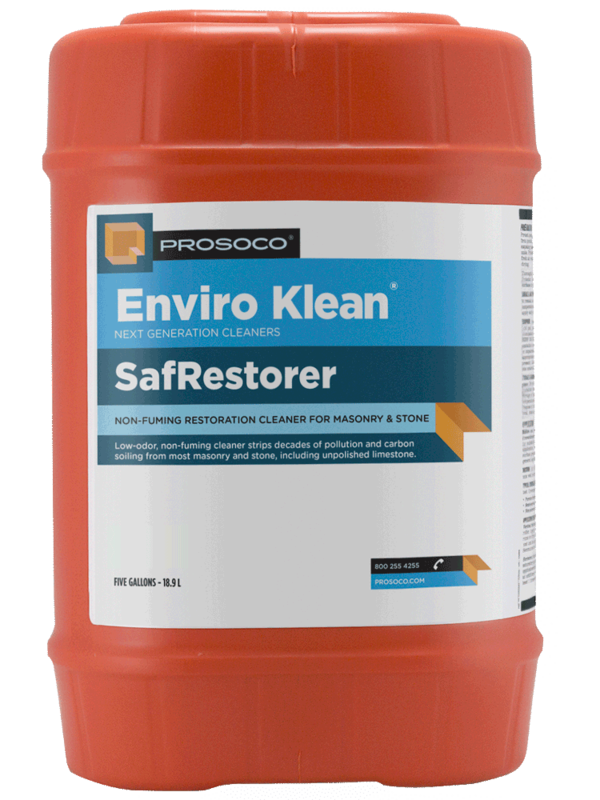 A practical alternative to conventional acidic cleaners, near-neutral pH EK Restoration Cleaner cleans brick, granite, sandstone, terra cotta, and other masonry safely and effectively. Perfect for projects where harsh acid cleaners are not allowed. Proven effective for cleaning dirty and heavily carbon-stained buildings. COVERAGE RATE125-250 sq ft/gal. See Product Data Sheet for variations per substrate. 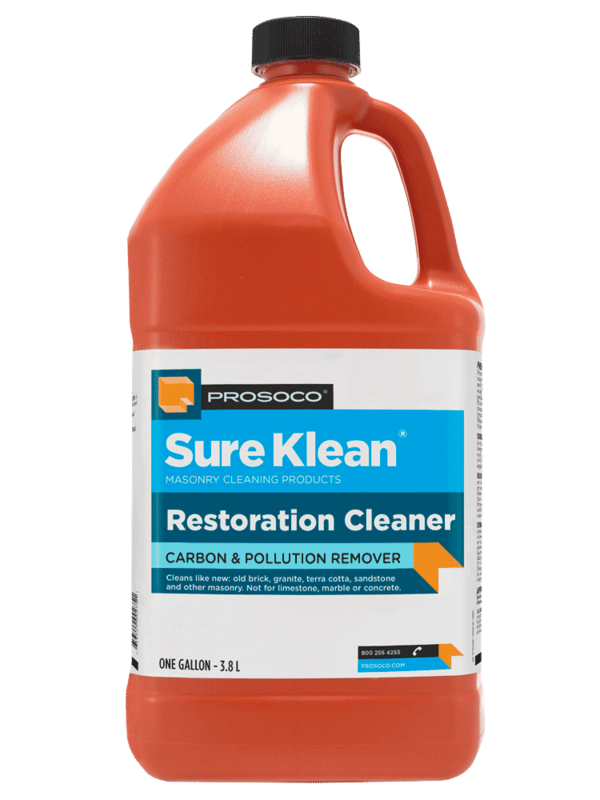 Enviro Klean® EK Restoration Cleaner is a concentrated compound for dissolving tough carbon deposits and other atmospheric staining. 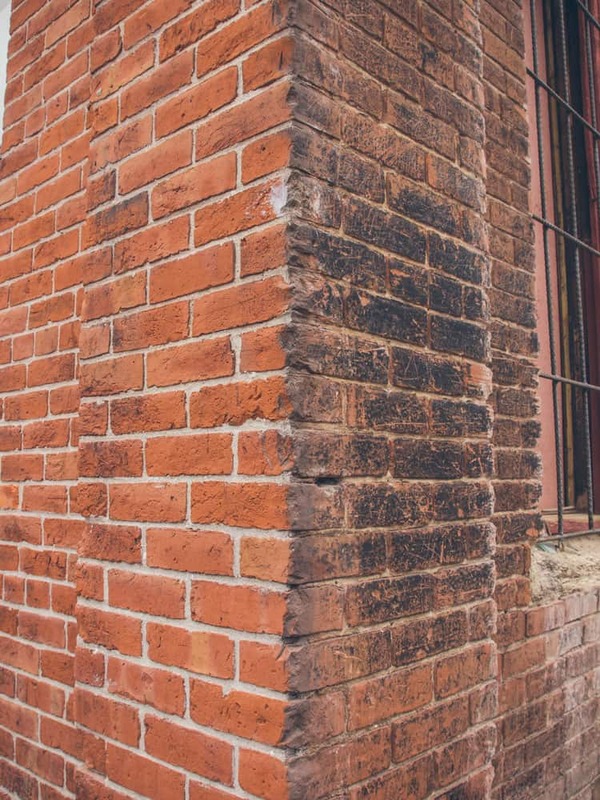 A practical alternative to conventional acidic cleaners, near-neutral pH EK Restoration Cleaner cleans brick, granite, sandstone, terra cotta, and other masonry. 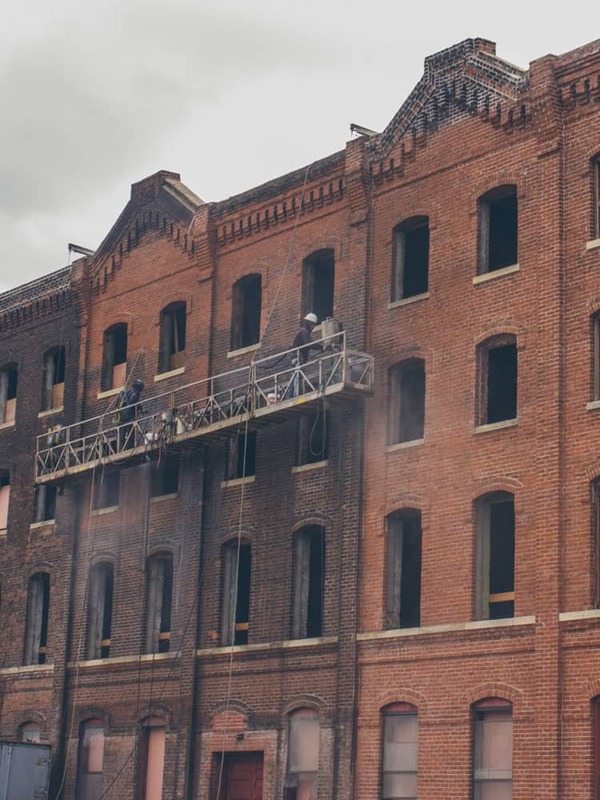 Safer and less expensive than sandblasting or steam cleaning, EK Restoration Cleaner also loosens and dissolves dirt, paint oxidation, and other stains associated with aged and dirty buildings. 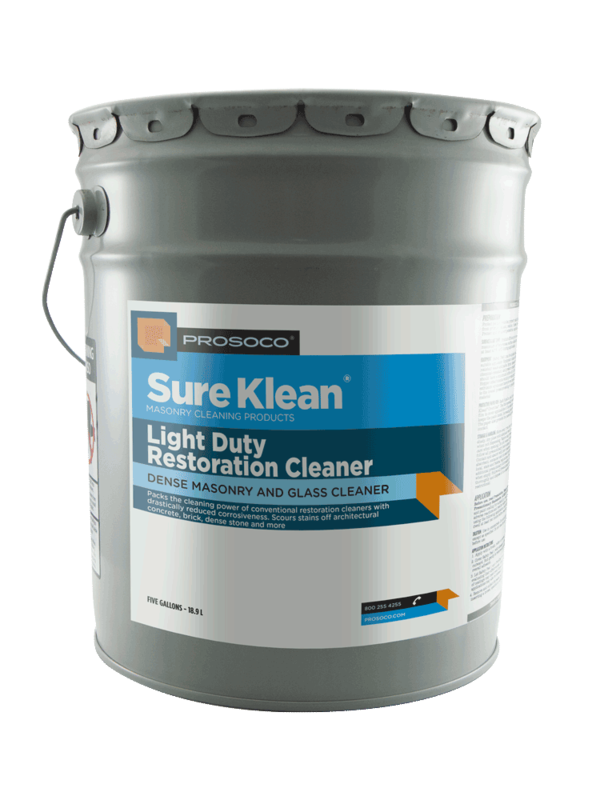 It is perfect for projects where harsh acid cleaners are not allowed.